In the springtime, there is a short window to catch a phenomenal activity. And if you’re lucky–like we were today–you can experience the swarming of bees. A new honey bee colony is formed when the queen bee leaves with a large group of worker bees (~60% of the old hive). This process is called swarming. It is the hive natural reproduction process, the bees that stay behind make a new queen. The day started off perhaps more hectic than usual. It’s tax day here, after all. A lingering thought to check on the bees got us on our bikes and down a few blocks to the Algarden Demonstration Farm. And of course, the bees were swarming. We jumped into our suits and rounded them off the tree and into a box. …popped some fresh blueberries and back to our taxes! Remember the bees everyone! And stay close for more news on Patricia’s new non-profit: International Natural Beekeeping Federation. I took advantage of my recent visit to WSU in Pullman and decided to spend the weekend in Seattle. I had wanted to visit the Pollinator Pathway, the Beacon Edible Forest and the Bee Garden. I was warned that Seattle is not the best place to visit in the winter but I was happy surprised when I landed on a partly-sunny-with-no-rain-Seattle. It was gorgeous and I took advantage of the day by walking the city from side to side. First stop was the pollinator pathway. A gorgeous hummingbird welcomed me and showed me the path to an urban farm along the way. It was the Aley Cat Acres urban farm and it amazed me; it was totally open to the public and there was a hive and chicken coop! The coop had pictures of each hen with their name and a description of their personality. There was also a sign that described the do’s and don’ts with the chickens. Wow Seattle! I continued along to the pathway, and although it was the middle of winter it was clear the difference in sidewalks that had transformed their lawn into a garden. There were some spots that had veggie boxes and others that had lavender and other pollinator attractive native species. I’m sure it is gorgeous in the summer. On Saturday, the weather was not as friendly and it showed me a truer, grayer, colder and rainy Seattle. I still went to the work party at Beacon Food Forest. I was surprized to find about 50 people working hard under the rain. There was live drumming and they had just finished serving lunch, which was donated along with coffee and tea. I had previously arranged an interview and tour with their community outreach coordinator; she welcomed me, introduced me to people and showed me around. It is really phenomenal what they are doing there. The food forest is a collaborative effort that has become a reality thanks to a core group who created the vision, the P-Patch who serves as he umbrella non-profit, the Seattle Department of Public Works who has made public land available, a group of students from UofW who has designed/build a few temporary structures and a lot of volunteers who come out and help out at every work party. I was particularly interested in the political process to make such a project a reality. I was told it took about 3 years of visioning, planning and outreach before they broke ground which was about 1 year ago. The project also has amazing signage that has been translated into 5 different languages. One of the issues is educating people about what is going o and getting them excited and on board. They want to have harvesting workshops to teach people how and when to harvest and to do it ethically, only take what you need and share with others etc. I’m really looking forward to see this project grow and succeed. It is a model to replicate in other cities. The bee garden is located at the commons park of High Point community, which is is a 120-acre, ecologically-conscious, planned community in West Seattle. We were amazed to see all the curb cuts and rain gardens as we drove around. The bee garden is part of the P-patch and it has a fantastic structure with lots of bee information in 5 different languages, the hives are located within the structure and there was a side room with equipment and lots of bee-keeping suits so I assume that they teach classes and do educational tours to the hives. The planting in the garden is all pollinator friendly and there is also lots of signage. Adjacent to the garden is a community garden where residents can grow food. I felt really satisfied and complete with my Seattle experience, I learned so much, saw great friends and feel inspired. Seattle I will bee back soon! This will be my 10 year participating in the annual pilgrimage to the desert for the Burningman festival. For the past 5 years I have been a member of the Zonotopia crew, working on and off the playa to create large art installations. This year is my great honor to be part of the Zonotopia team again. I am also excited to be contributing my own artistic vision to the project: the Zomphalo! 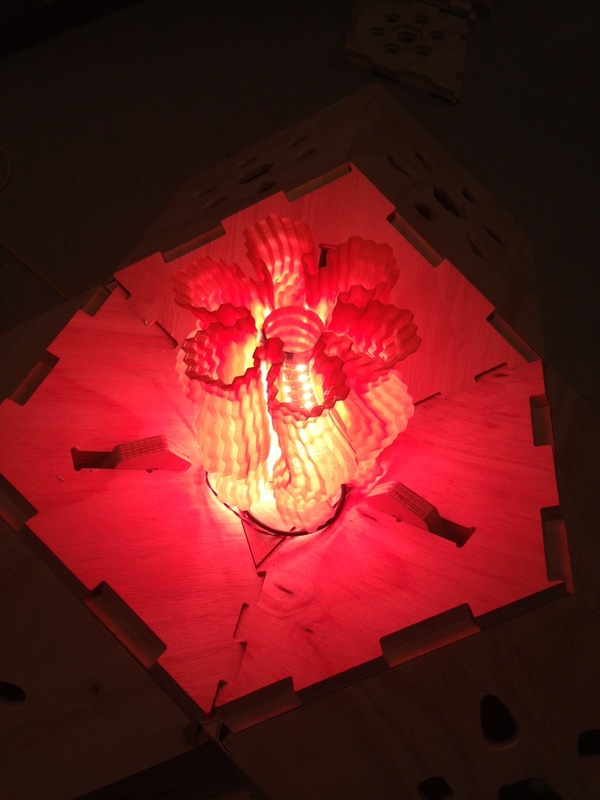 The Zompalo will be the center piece in one of the chambers of the quasicrystaline conjunction of Zonotopia and it is a collaboration with Chris Palmer. The Zomphalo is a play on words from the Greek omphalos (ὀμφαλός) and Zonotopia. In Greek, the word omphalos means "navel." According to the ancient Greek mythology, Zeus sent out two eagles to fly across the world to meet at its center, the "navel" of the world. Very similar to the Aztec legend... The Omphalos stone at Delphi is the most important oracle in the ancient world. 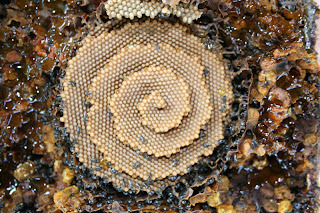 It resembles a beehive with crisscrossing rows of bee symbols. 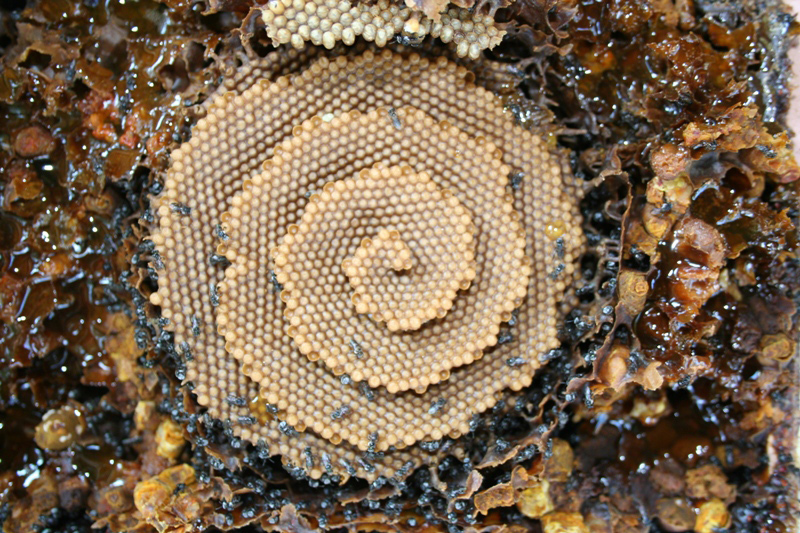 I have always thought that Zonotopia is a bee hive and I must say that the structure of Zonotopia is similar to the Omphalo. I saw the original omphalo when I visited Delphi years ago, I meditated in the oracles cave and I took a stone that I still have in my altar. I knew then that Delphi was a powerful spiritual place. Xeno, my good friend and host in Greece, explained that Deplhi was the belly button of the world (It was his idea that I take a stone from Delphi.) 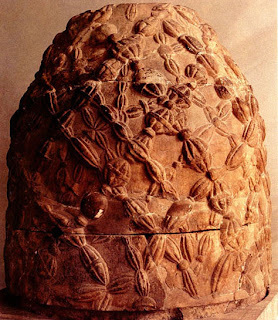 However, it wasn't until recently that I learned about the bee symbology and relationship to the Omphalos. I learned this from the sacred path of the bee class with Layne Redmond and Debra Roberts. 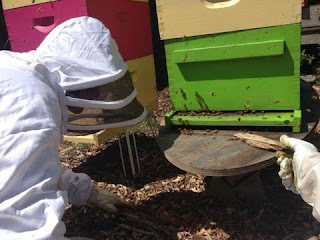 Layne has done incredible work around bee mythology and frame drumming. She has been an inspiration and a great teacher, although I have not meet her in person. Layne is getting ready to transition from this life and I continue to be impressed at her strength, stamina and gracefulness. 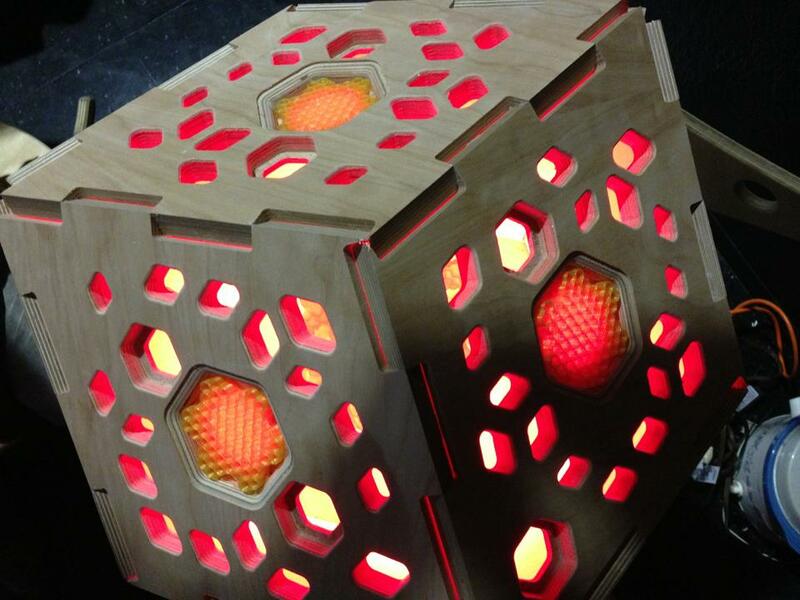 She recorded a beautiful CD Music from the hive with her frame drum music mixed with the sound of the hive. The CD has an 18 minute track with just the sound of the hive. I will be playing her music at the Zomphalo. 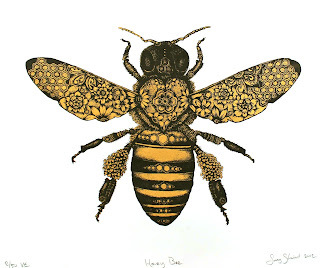 I would like to especially dedicate this piece to her and to all the amazing research, documentation and educational work that she has done around bees. Bees pollinate approximately 75 percent of the fruits, nuts and vegetables grown in the United States, and one out of every four bites of food people take is courtesy of bee pollination. In sum, bee pollination is responsible for more than $15 billion in increased crop value each year. 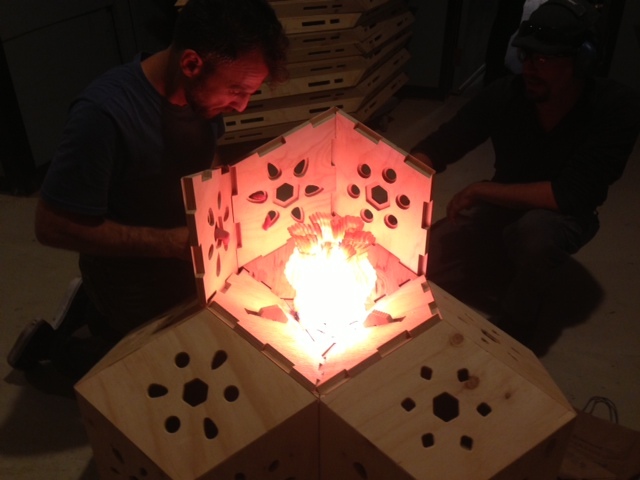 The zomphalo is an offering of reverence to our beautiful buzzing pollinators, it is an altar, a meditation space, a prayer, a place to bee. Blessed bee! Omphalos stones were said to allow direct communication with the gods. Leicester Holland (1933) has suggested that the stone was hollow to channel intoxicating vapours breathed by the Oracle. Erwin Rohde wrote that the Python at Delphi was an earth spirit, who was conquered by Apollo, and buried under the Omphalos, and that it is a case of one god setting up his temple on the grave of another. The Omphalos at Delphi came to be identified as the stone which Rhea wrapped in swaddling clothes, pretending it was Zeus. This was to deceive Cronus, his father, who swallowed his children so they could not grow up and depose him as he had deposed his own father, Uranus. While hiding from his father, Zeus was raised by two sister nymphs. One of them was Melissa, she fed him honey. When Cronus discovered this, he turned her into a worm. After Zeus came into power, he changed her into a queen bee, not being able to change her from an insect form. Melissa is the Greek word for honeybee. 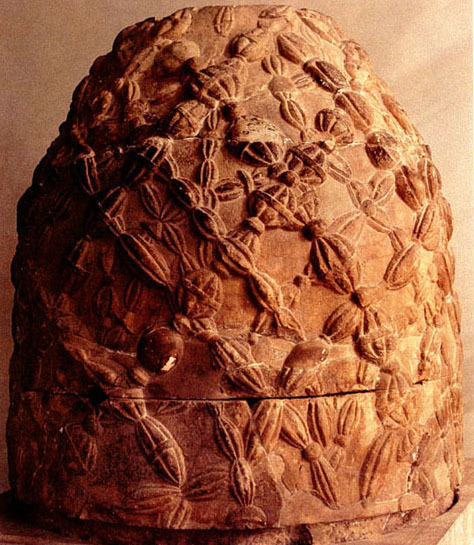 The bee, found in Ancient Near East and Aegean cultures, was believed to be the sacred insect that bridged the natural world to the underworld. The priestess of the oracle at Delphi were known as the Delphic Bees - The Melissea. 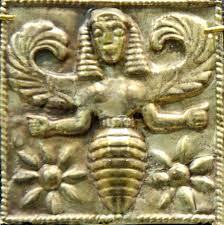 The emblem of a bee was placed on Delphic coins in her honor. Minoan Bee Goddess, golden plaque, British Museum. Found at Camiros, Rhodes, 7th century BCE. Bees have been revered as a special spiritual animal in many cultures, traditions and mythologies beyond the Greek. 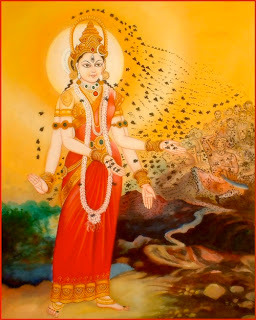 The Hindu great goddess, Kundalini Shakti, manifests as a queen bee surrounded by a swarm of bees and is called Bhramari Devi. When Shakti awakens in a buzz of energy at the base of our spine we experience ascending consciousness to the crown chakra. Bhramari means bee in Sanskrit. Bhramari pranayama is a traditional yogic practice derived from the buzzing of bees which vibrates and realigns the entire nervous system, brain and body by buzzing the vocal chords. 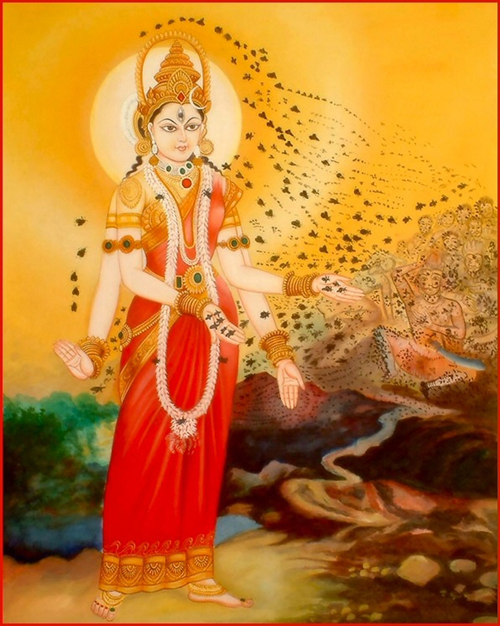 It is believed that the sound of the hive is the same frequency of the buzzing that we hear when we are in complete silence or when we do bhrameri. This frequency allows us to open a connection to our spirituality, our higher self. More information on Bhramari and the connection to the sound of the hive at this workshop by Layne Redmonds. My idea is to create a sanctuary where one can meditate and allow for that spiritual connection through the buzzing of the hive. A Place to connect with ourselves, with our higher being, our calling. The concept was to create a zomphalo with carvings of the Greek bee goddess and small holes to insert amber-like jewels with bees in them. 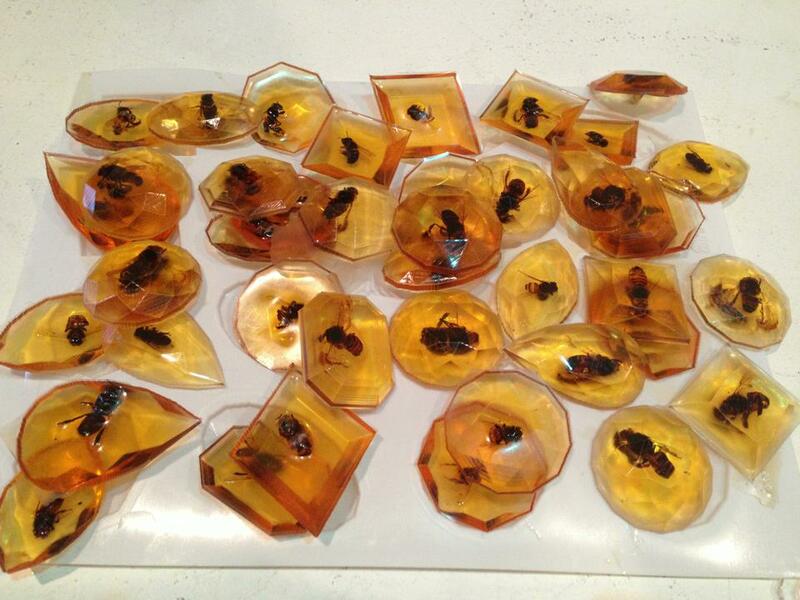 The bee jewels are my way of honoring the bees and place them in their own special shining place. 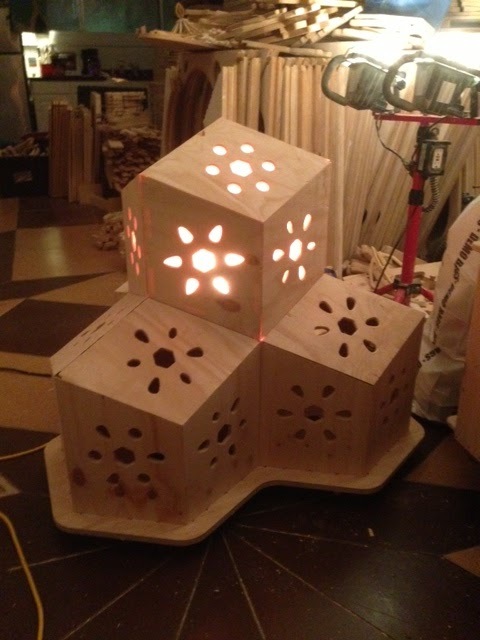 I also wanted to have enough hidden space at the center of the piece to have a sound system playing the sound of the hive. We wanted it to be easy to assemble using a similar technic to Zonotopia where the wood interlocks and there is no metal used. 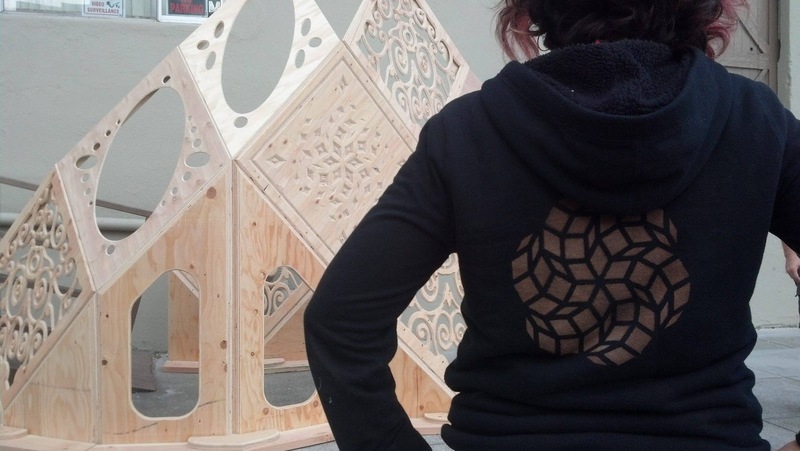 Chris created a mock up model with with laser cutter and we liked it so we built a full scale model for the pre- compression event. The full scale model also had 3D printed hexagon honey combs to allow for small viewing spaces into the zomphalo and for the light to shine outwards. Chris also 3D printed the wozzel (This is a word that he coined for the geometrical hive-like 3D prints) to hold the RGB LED lights. 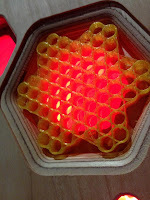 The lights were programed to run from white to red, mostly on the yellow, gold colors to resemble to color of the hive. Here is Chris' description of the Wozzles: "...are made from a 2d polyline that is transformed each small step in the z direction with rotation and scaling controlled by a sine wave function (sometimes sum of sine waves). Sometimes the 2d motif is the same throughout changing only rotation and scale other Wozzles have a dynamic motif that is itself controlled by a sine or cosine wave. 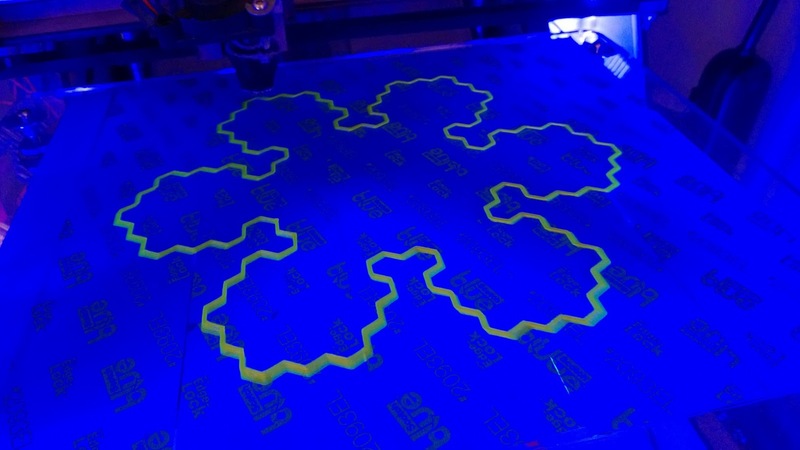 Each loop/ polyline is written straight to gcode instructions for the 3d printer by a program so unlike many 3d printed models there is no mesh (made of triangles) model." For the jewels I collected dead bees outside of the hive. It was a battle with the wasps and the spiders who are constantly waiting to eat the dead bees. I had to go back to the hive many times to collect enough bees for the project. 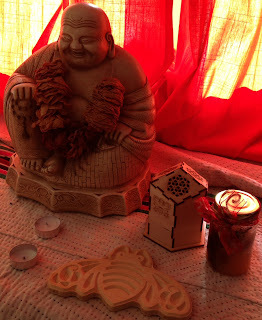 This was a really beautiful part of the process as I spent a lot of time outside the hive, just listening, smelling, observing and practicing my bhrameri with the bees. 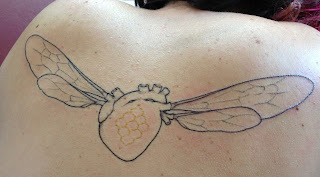 I also used bees from my mother's hive to represent and honor all the bees that have died to pesticides. 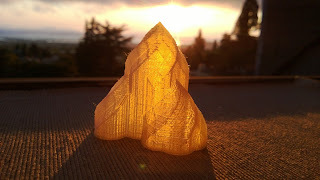 The resin worked really well. I'm happy with the result. The jewels were inserted into the sides of the zomphalo panels and hot glued. This is the trial build of all the parts before heading out to the playa. 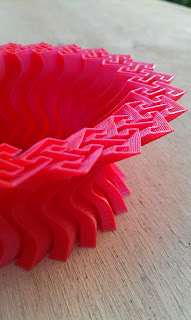 The test built work and all the parts fit together perfectly and the tolerances are right. There is space to run all the wiring for the lighting and sound. The woozel was illuminated and it seems as if the zomphalo was on fire. 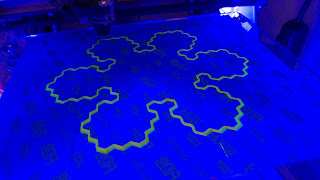 We also did a mock up of the Quasicrystalline Conjunction to make sure that it works and we checked to make sure there is enough space to hold the Zomphalo and for people to walk around it. It is looking awesome. I can not wait to see it all built. And to Rob Bell for allowing me to play and express myself in his space. Thank you for believing in me and holding my hand. I hope that the space we create allows for many experiences to happen. I hope it serves as stage for life. I hope that love is transmitted and radiated. I hope people can find a refuge and an opportunity to bee still and listen. 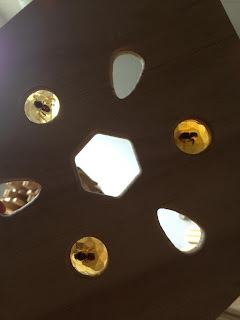 But beyond all, I hope my bee altar brings awareness to the bee Colony Collapse Disorder situation we are faced with and creates a space for people to appreciate, connect and think of actions they can do to help the bees. Plant a garden, stop using pesticides, be mindful of your food and avoid GMO's. 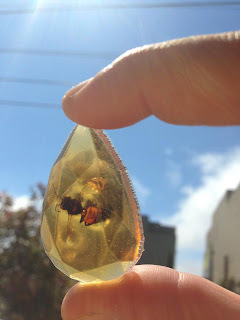 This Zomphalo is a seed that I'm planting and I am hoping it will become a bee sanctuary, a place for bees to thrive, a place for all bee-ings to connect. A place to bee! We had a beautiful spring day work party at the Algarden. The event was great and one amazing thing happened, none of my friends were there. I say that not because I don't want my friends to be there, I love my friend there! But because at the begging of this Algarden adventure, almost 5 years ago, my friends were the only people there. Now, the Algarden has kind off a life of its own and new people show up, friends of friends and the community grows around the garden. It is beautiful to witness. The bees are looking good. They made it through the winter and now they are building up their hives. We are hoping to avoid swarming this year. The compost is looking great. Filled with bugs! Colan helped us to turned it and sifted it to get it ready to put on the beds. Its a good sign when your friends bring their parents, who are visiting from far away, to see the garden. There are so many sights in the bay area, I'm honored the picked the Algarden as a stop. With the nice fresh stirred compost Giancarlo showed us how to make compost tea. In addition to our compost, Giancarlo added a few more things to the mix. And an aerator to accelerate the process and your result is the best organic fertilizer ever! Patricia Algara has a masters in Landscape Architecture from UC Berkley and she is a certified Permaculture designer. Strongly influenced by her two grandfathers, one an architect the other a rancher, Patricia has an appreciation for beautifully designed food-productive landscapes, an art she calls foodscaping. She is a founder and principal at BASE Landscape Architecture, a design studio specializing in edible landscapes and urban farms, anything from a large corporate campus that wants to convert their lawns into edibles to a garden urban farm with chickens and bees to container gardens on a deck or roof. Always applying organic and permaculture principles in the design and implementation. Patricia has always had a passion for empowering communities, and believes that self sufficiency is a critical means for achieving it. 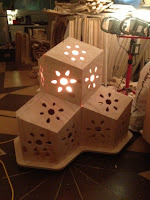 She is an avid bee tender who strives to apply in her design, what she has learned from the bees; a beautiful, highly functional, organic organism with perfect geometry in every cell.